Today I did some jobs at an office of one our neighbours: repairing door locks, hanging up lamps, replacing a toilet, etcetera. I make a living by doing whatever comes along, and being a handyman is one of these. I enjoyed it very much. The song lyrics should be part of the Hall of records. I mean, even if you have no deep interest in esoterics, you must notice that these texts could be part of any good esoteric or religious teaching. I also liked Eddie Murphy in this movie. Man, the guy can sing! I never knew this, but he really convinced me in this movie. And of course there is the beautiful Jennifer Hudson, who is the star of this two hour video clip. 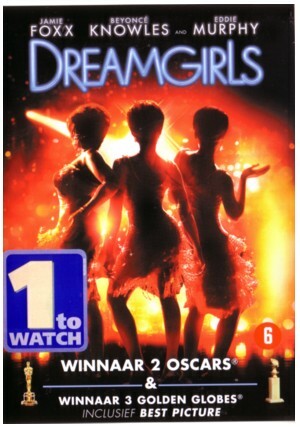 There was a lot of bad critics in the media for Dreamgirls, but I don’t understand that. It is a great Hollywood musical, where a hell lot of love and money was put in! Here is the song that Deenah Jones (Beyonce Knowles) sings. I am not a fan of Beyonce Knowles, but the lyrics of this song touch me deep. And she sings it very well, with more soul than what I have heard of her own records. Of course, Jennifer Hudson has more soul, but you can hear her enough on the radio. And if you have not, maybe you should rent this video for your partner? Listening to this song on this particular blog added a little scratch to my soul. But I see you recuperated with your new entry, thank god!